Astonishingly beautiful home located across the street from the ocean on Moonstone Beach Drive, with panoramic ocean views. 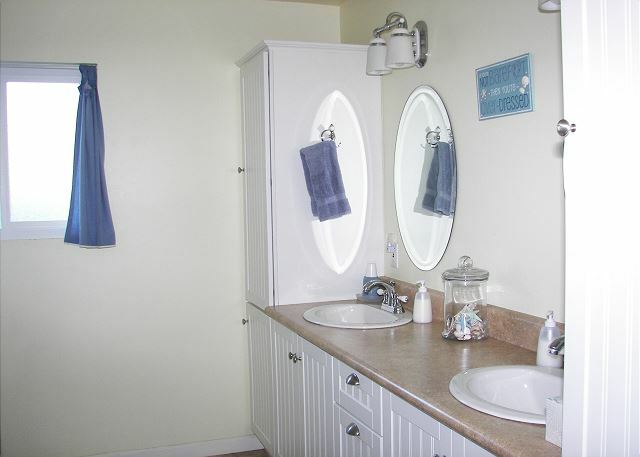 The house was recently renovated to encompass all of your vacation needs. 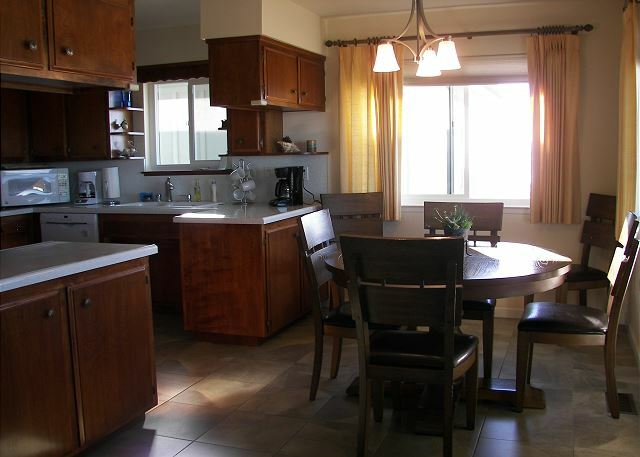 Upstairs there is a large living room, dining area, and kitchen, which all have spectacular ocean views. 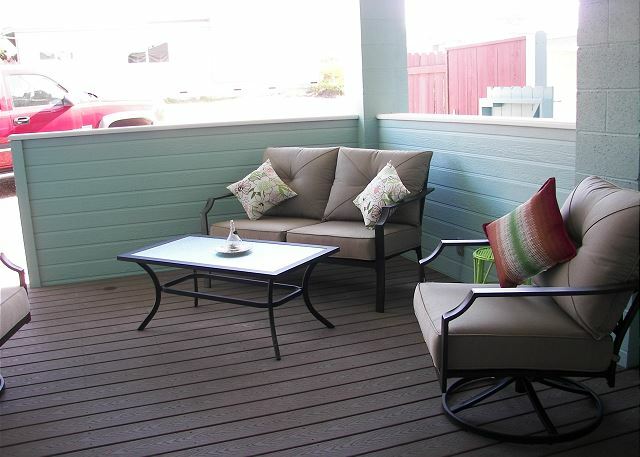 Located off of the living room and dining is a partial glassed in deck for you to enjoy. 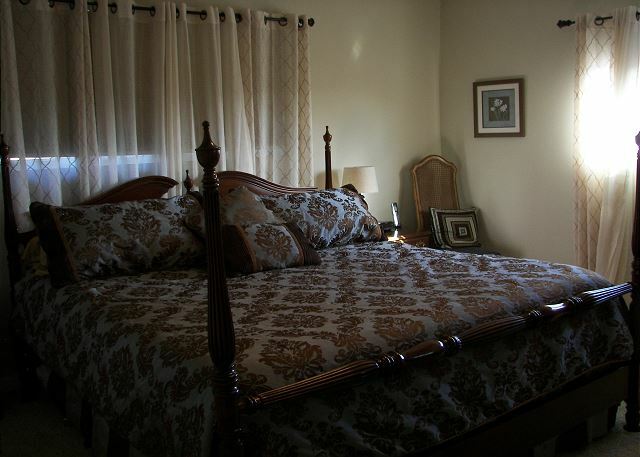 Also located upstairs are the two stunningly decorated bedrooms. On the bottom floor there is the third secluded bedroom, bath and family room with its newly remodeled and decorated back patio. 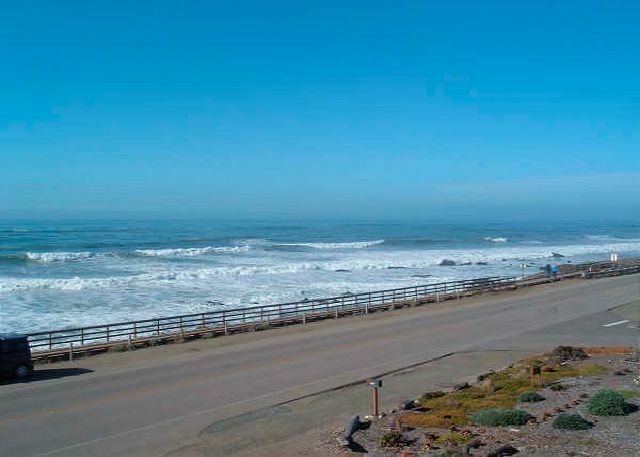 This home offers the great convenience of being a short distance to the West Village in Cambria and located right across from beach access, all while having stunning ocean views. Free wireless internet, long distance Continental U.S., Puerto Rico & Canada No smoking, well behaved dogs only. NIGHTLY MINIMUMS VARY SUMMER AND HOLIDAYS. We have been staying in this house for years and always consider it our home-away-from-home as it is so warm and comfortable! The employees of Coastal Escapes are sooooo friendly, we always look forward to visiting the office! The best place to stay, evidenced by the 10 years we’ve stayed here. Perfect location on Moonstone Beach. Accommodations clean and comfortable with all the amenities. Park your car in the garage and no need to move it as lots of restaurants and hiking trails right outside your door. Wonderful place to stay. Absolutely the best ocean view. We had a wonderful time in the house last week, as we have each year for about 10-11 years. The house is so fully furnished, clean and comfortable, and the location and view of the water are amazing. Couldn't say anything but wonderful! We love this property. It is always clean and well kept. Love the updates such as the furniture, cement steps in the garage and the driveway. We will definitely rent this place again. We loved this rental. Balcony was wonderful, very comfortable. It IS pet friendly so if you have allergies be SURE to note that. My wife was on the nebulizer (breathing treatments) all week but she was a trooper and refused to leave :) I would highly recommend this home for anyone other than the severely allergic :) GREAT trip. This is the third house we’ve rented in Cambria. It is by far the BEST. Views are outstanding. We brought our dog and the welcoming touches in the home made us (and our dog) feel welcome. We’ve already reserved the property for next year. Highly recommended. This home is always in top shape. Everything you need and more. Love the people at coastal escapes. 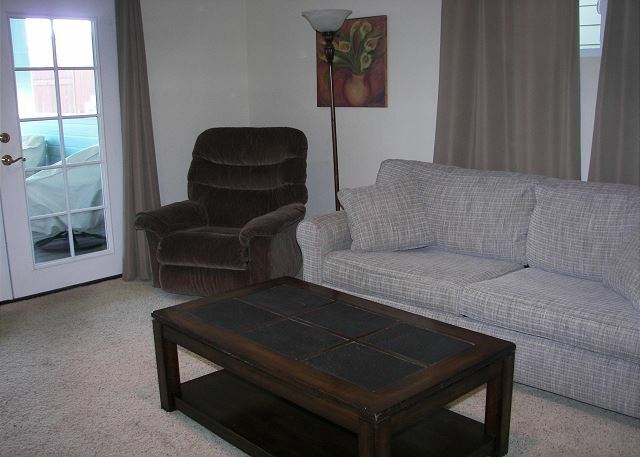 Excellent, beautiful location and house was very clean and comfortable. Have stayed in this house many time and always consistently clean and perfect!! We loved it. The ocean was across the street with the most beautiful views. The home was very clean and had everything you could want or need (except food of course), there, including toothbrushes and Charmin toilet paper (which is what we use at home). We felt very comfortable staying there. It was very hard to leave the place. The staff at Coastal Escapes, have always been a pleasure to work with. The home was so clean that it looked like a model home for sale. We will be back next year. I also want to thank the owners for allowing us (and everyone else) the pleasure of staying in their home. another great week in Cambria. Great house, great view ! We had a GREAT Experience as always!!! The office staff is always so friendly!! We'll be back in November!!! Fantastic view!! Very clean. Will definitely rent again. Always a good time at this location. Great location within walking distance to everything and beautiful views. The price is unbeatable for a ocean front property. Rental house was everything we needed for an extended weekend stay. Beautiful view no matter the weather, which is one reason to stay here vs. other less expensive rentals. wonderful week here. house was clean and comfortable, as usual. we will be back in Sept.
As always the facilities are clean and up to the standards one should expect. The experience is always great and enjoyable, The staff is great to work with and always professional. This house is in a perfect location for beachfront viewing. It is conveniently located to some excellent restaurants and some great hikes. 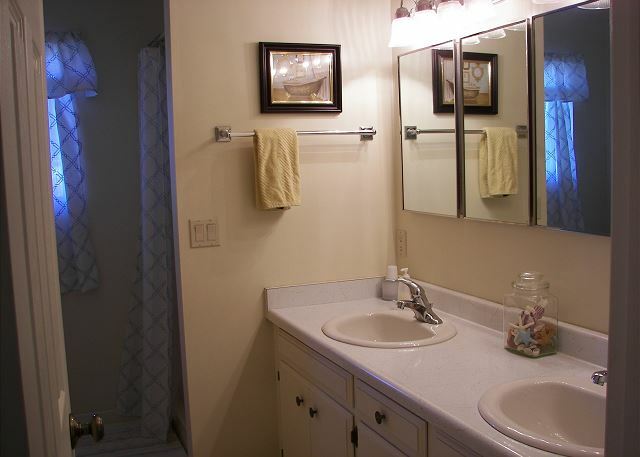 It is tastefully decorated and very clean. We've been coming here for 9 years. Same time next year! Another GREAT stay at 5940 Moonstone Beach!! LOVE the new carpet and garage doors!!! This is the best house for a wonderful stay on Moonstone Beach. We have stayed here every spring for quite a few years and we enjoy it more every time. New owners have made some nice changes and updates but it is still the lovely, clean, comfortable place to stay it has always been, just better! The week was wonderful despite the 3 days of rain. The upgrades to the house, new carpets, new garage doors, have made a great place even better. This was our 6th year of renting the house. Weather was colder than normal for our annual March retreat but we still enjoyed the scenery and all our daily outdoor activities. My husband and I are regular renters of this home. 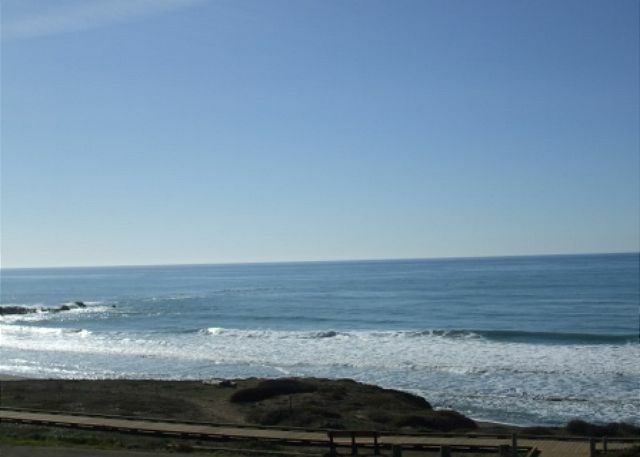 We have rented houses in both Cayucos and Cambria from Coastal Escapes and this was the nicest experience. The house came with everything you could possibly need. Keep in mind though this house is not for those that have a hard time climbing stairs. Management was the best and always helpful. I'd give this house a 10 star if I just wish it was not booked up so far in advance. 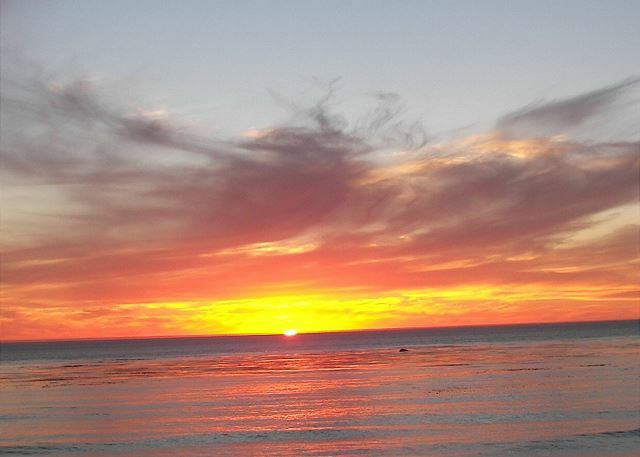 Another wonderful week in Cambria. The house was great, as was overcast and smokey from the fires for one day, but the rest of the time was bright and beautiful. Will be back in March. As usual, we had a terrific stay again this year. We are now coming 2 to 3 times a year and wouldn't stay anywhere else! We had a wonderful visit here. The house is perfect for us, and meticulously clean! It has all the amenities needed for a great stay! We'll be back! A wonderful 8 days. The house was clean and user friendly. We saw dolphins, seals, and otters. A most delightful escape from the heat and monsoon in Arizona. This was a dream house to stay in! Right on the ocean, beautiful house, perfectly maintained. Walked on the boardwalk each morning. Sat in the living room or on the deck to watch the sunset. I would have my whole family stay here, but there are too many stairs for some to deal with. We had always stayed in Cayucos before and didn't know that in Cambria we didn't need to bring our own sheets and towels. The office is great to work with, but for some reason they didn't give us instructions, so we had to call to find out how to get in. Thanks for a wonderful seaside vacation. As a first timer to this beautiful rental on Moonstone Beach, I can say that this property blew my mind. The views were phenomenal and the home had everything one could need. I now realize the reason for all of the wonderful reviews. Our family had a memorable vacation and we'll definitely be back! We have been staying here many times a year and each time is better than the last. The house is comfortable and the view is amazing! The house is laid out nicely and was clean and comfy. The view cannot be beat. Our whole family thought it was the best. As always, we enjoyed our stay here immensely. Location, cleanliness, amenities, all top notch! This is our fifth or sixth year in this home, we absolutely LOVE it. We now plan to start coming twice a year. The recent upgrades (windows, etc.) make it even better!! It really is our "home away from home". Great place to relax and watch the sunset. House is very well equipped. We have stayed here for many years and find it convenient to walks, hiking, people watching and The Sea Chest. We have been to Cambria many times over the years and this house is the best one we have ever stayed in. The house was clean (super important to us), comfortable and had everything we needed. The view is incredible and the beach is well.....across the street!! Fantastic! It was evident to us that it is important to the owner to make their guests happy. Thank you for making a wonderful rental available within our price range. We look forward to coming back! This vacation rental has a great view of the open ocean. No sandy beaches to walk but plenty of boardwalk for that morning stroll. House has everything you'll need for your stay. Everything in good shape except a hole in the wall left from a former renter. 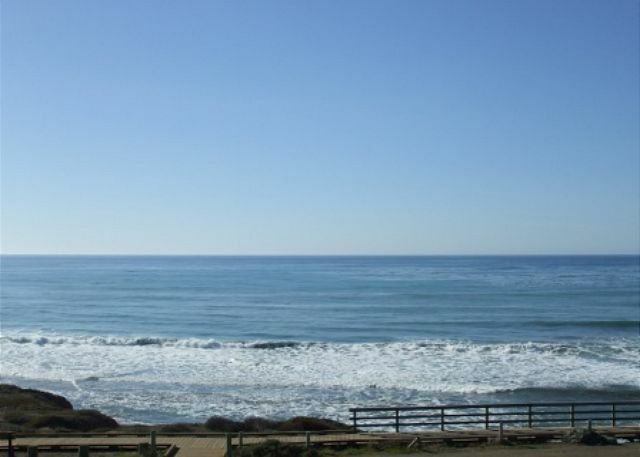 Water conservation is important in Cambria, keep water use minimal. We've been using this vacation rental for years. It's in a convenient location, just across the street from the beach and boardwalk, less than a mile from the center of town, 6 miles from Hearst Castle and the Sebastian Store, an easy drive to Paso Robles where we can find wineries, olive oil tasting and tour the Firestone Brewery, and a short distance to Montana del Oro where there is great hiking. 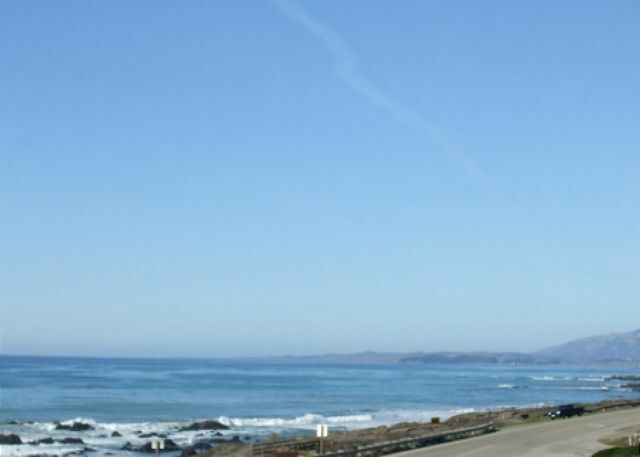 We can cycle to Ragged Point, Cayucos, Morro Bay, the elephant seals, Santa Rosa Creek, and the San Simeon State Park area. 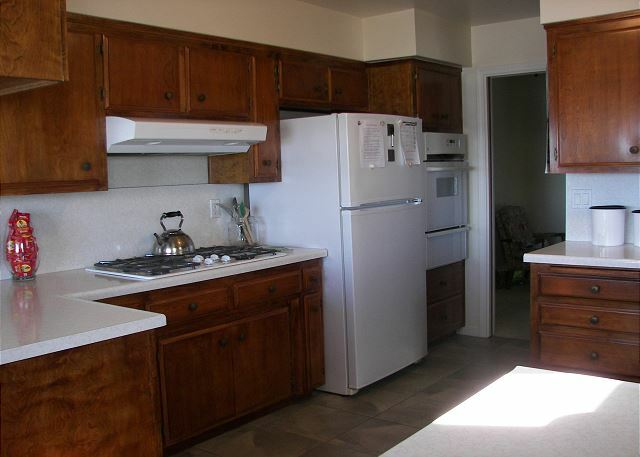 The rental is always clean and welcoming, with a laundry room, wifi, a fully stocked kitchen, and even condiments. We noticed and were pleased with the new double panned windows and new furniture - the sofas and chairs are comfortable and cozy and the dining room table is beautiful. We've already made arrangements to come back in January 2018! This is our home away from home - it's perfect! This home was beautiful, and in a perfect location! 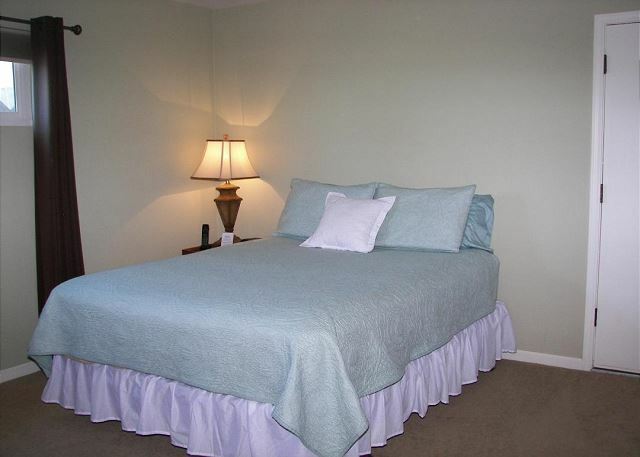 The home was clean, comfortable, with every amenity you could ask for! The views were breathtaking! 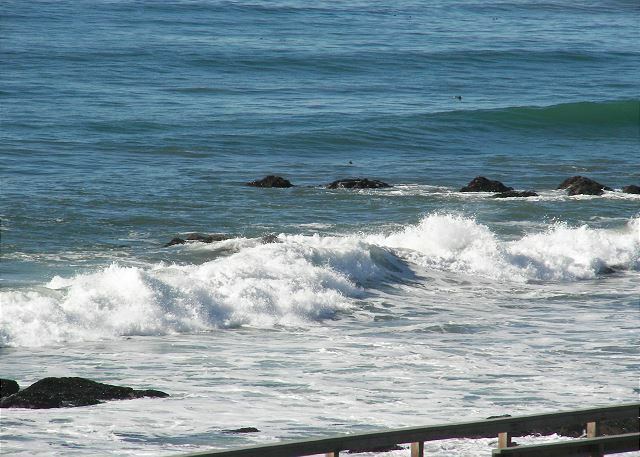 Thank you again, Coastal Escapes, for another fabulous vacation experience in beautiful Cambria! 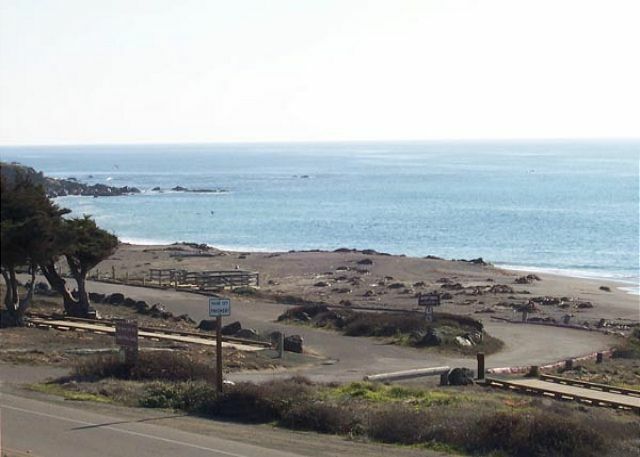 We always love coming to Cambria and staying at 5940 Moonstone Beach Drive. What a perfect and beautiful location. Suggestion: Replace the coffee maker in kitchen and the BBQ grill really needs to be cleaned. Overall - 5 STARS!! Spectacular views from the balcony of this beautiful home. The kitchen is supplied with every possible piece of equipment the best home cook would need - but there are several excellent restaurants ( most pet-friendly) within 5 minutes of the house. I would highly recommend this home to friends and family. We always have a great time in this house, this is our fourth annual trip!! We have now decided to start coming over twice a year!! We have stayed at this property many times. Always enjoy the beach view as well as the town. Love the house . It was close to the beach . Walk out the door and your re on the beach. We had an enjoyable time while at the house. The view was fantastic and the weather cooperated so that we could spend lots of time on the balcony. As on quite a few earlier trips, we loved our stay here! Everything was top-notch and perfect in its location. Wonderful time! This house is the best. This was our fourth year renting the house. While the weather didn't cooperate this year (lots of rain! ), it was still an enjoyable get away and the view is as fantastic as ever, rain or shine. Wonderful week spent here. A little rain and wind but nice weather overall. We will be back in March. We loved this house. It was perfect for us for a quiet getaway. And our dogs just LOVED sitting on their bed and watching the ocean, birds and people/dogs day and night. Spent a wonderful 9 days this visit. The house was great, as usual, and there was plenty of sea life to watch. This is a wonderful home and we certainly hope that it remains a rental. We have been staying here every year since we found it!! We LOVE it and can't wait to get back! High Seas vacation rental was simply a dream house. Set up high above the boardwalk right on moonstone beach, I spent countless hours sitting on the beautiful outside porch just watching the waves break on the shore. It was conveniently located to Main street as well as just a few minutes drive to several other beaches. If you have dogs make sure to visit Sam Simeon cove at Heart Beach for off-leash fun. There is also an easy hike to the top of the ridge with amazing views. The house was immaculate and had everything you need. The photos of the home are accurate and I would highly recommend this rental if staying in Cambria. The cost was reasonable and definitely worth the expense over a hotel room. Dog-friendly too. Yet another great rental we used from Coastal Escapes! This is another favorite for us now. Will definitely rent this property again. This house has a smaller kitchen and dining area than what I'm used to with the rentals we have used. It's a little tight on the dining area when everyone is seated and you need to get to the kitchen. You either have to walk around or have the person sitting on the kitchen side get up to let you through. Other than that, everything is perfect! 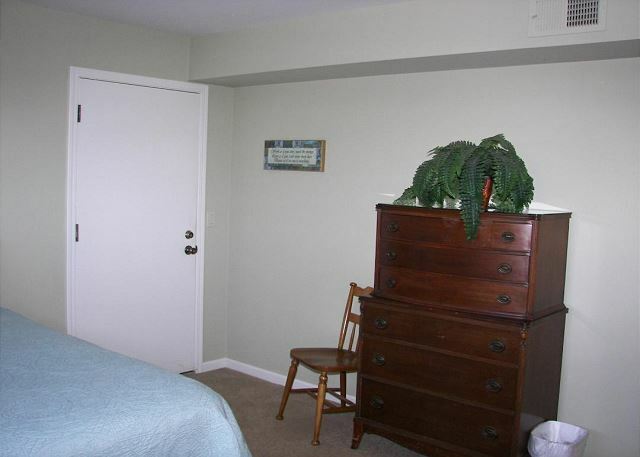 Rooms are great, property is clean, and so close to the beach! 10 wonderful days by the sea!The house is great and the view is spectacular. Wonderful experience. The house is great and the view is exceptional. This house is really a great value. One of the few houses with such a good view that is pet friendly. The house is very comfortable and well stocked. Conveniently located across the boardwalk. We will definitely be back. We have rented this home for 4 years. 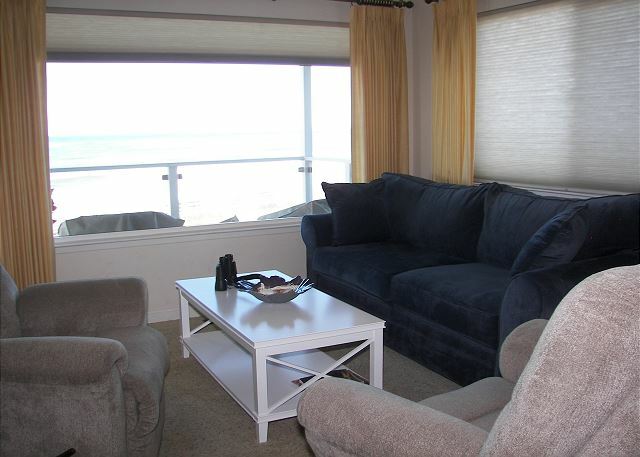 Location is great as the balcony overlooks the ocean and the beachfront is right across the street. Hiking/walking trails are right out your door. The "Sea Chest" restaurant is about a block away on Moonstone Beach and serves a wonderful assortment of FRESH fish...Cash only and no reservations. Opens @5:30 but arrive by 4:45 to get first seating. We enjoyed our stay at this house very much, as we have each year for the last several years. The house is always so clean and comfortable. I think a couple of things might need a bit of touch-up but they were minor compared to the entire experience we had. Everything one might hope to find in a vacation rental is there and more. And of course the area can't be beat for scenic beauty, places to go, things to do, and food to eat. Love, love this place and its fantastic location! Addressing two issues would make the house perfect. The hot water in downstairs shower came out in dribbles and made it difficult to shower. Cold water pressure was fine if you like cold showers. Mattress on sofa bed is too thin and metal bed frame can be felt through mattress. Bedroom mattress downstairs sinks in the middle so must sleep on sides of mattress. A foam topper would make all the difference in the world in providing comfort. 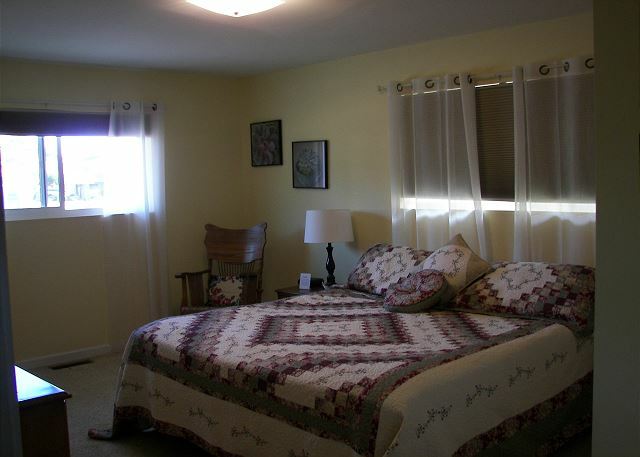 A great stay have been there now 3-4 times best location and price in Cambria. No problems to report except bath downstairs water does not come out? Beautiful ocean view, comfortable home. We enjoyed our stay, it was very relaxing. Spectacular View of Ocean, Great Location and Spotlessly Clean! Another excellent experience in this home! We were so pleased with our stay, we booked again for next January. Have stayed at this location several times in the last few years. Very happy with the location. Property is well maintained. Love the 180 degree view. Had a wonderful stay despite the stormy weather. The rain was welcome and the Santa Rosa creek broke through to the ocean. Will be back in March. 5940 Moonstone Beach "The High Seas"
This has been the fifth time we have rented this home. It is absolutely lovely and it is our yearly tradition to stay here. I could not ask for a more perfect place to relax, enjoy lovely sunsets and walk the beach. Such friendly people at the beach and in downtown Cambria. Thank you for another wonderful vacation! See you next year! This is the sweetest, most comfortable house I have stayed at in a long time. I can't wait until our next visit to Cambria. We took my elderly parents and it was a memorable vacation for them. The view was spectacular! We can't wait until our next vacation and this lovely home. Wonderful week at High Seas.House was great! The location is awesome, the view wonderful and the house was clean and comfortable. one of my favorite homes in Cambria we never want to leave. We are yearly vacationer. Wouldn't stay anywhere else. A perfect home away from home. Very clean and well equipped. 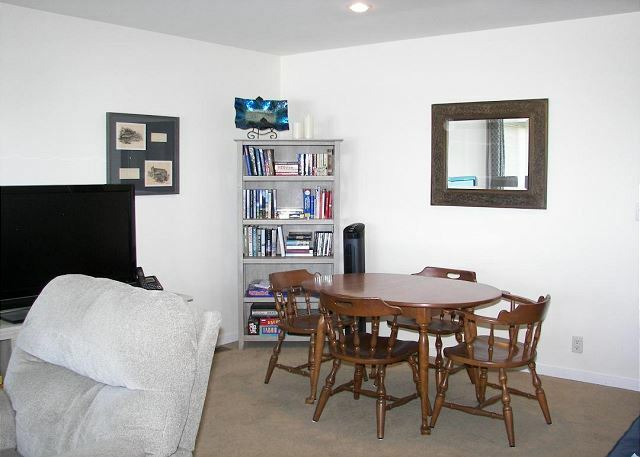 Within walking distance to several restaurants. Access to several hiking trails. 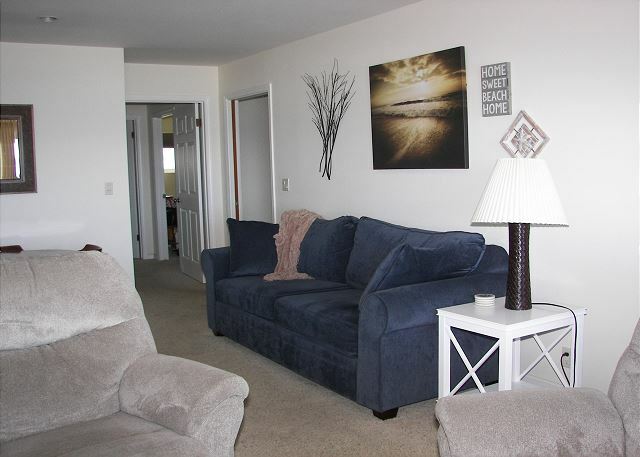 Able to enjoy beautiful sunsets from the ocean-facing front deck or the large picture windows in the living room. We had an amazing time at this home. We have stayed at VRBO's all around the country. This was one of the best. They had everything you needed and then some. The owners really care! Super clean and comfortable. The views are incredible. I would highly recommend staying here. Great house, wonderful location and view! Great location, excellent parking in front and in back, clean, easy access to beach and boardwalk, parks and restaurants, and an easy walk into town. 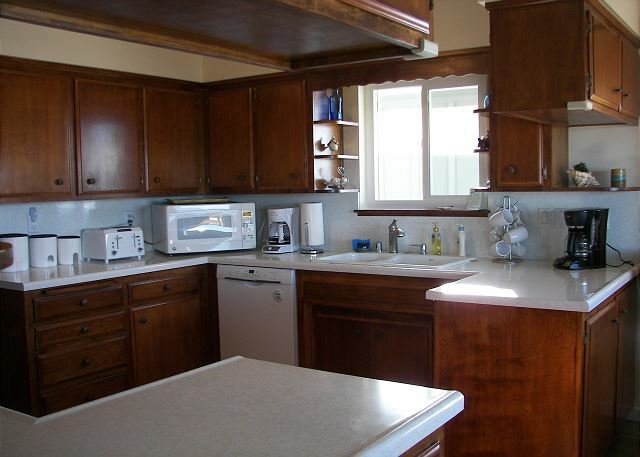 Well stocked kitchen, plenty of room, perfect viewing for sunsets over the ocean, reliable WiFi, easy walking into town. We spent 2 weeks there and we are going back next year at the same time. Everything about our stay was excellent. The house, the rates the service and the weather. That's why we keep coming back. Excellent location with a spectacular view. 3rd time staying there. Awesome, Great and Beautiful!! We visit Cambria and stay at this house 4 or 5 times a year. The experience has been consistently excellent. Sitting and watching the ever changing ocean is a wonderful way to unwind! Wonderful views and very comfortable house! Everything was great! We will come again! We did not want to leave, it was the most amazing home, the view, the rooms, everything was perfect! will come back again and again! we cannot wait! we love you! Another wonderful week at High Seas. The weather was great and we had an enjoyable stay! Cambria: 64 deg. Morning fog, afternoon sun, beautiful ocean view. wonderful house! Could you please correct my name Norma Barnhart. And display it Dave n Norma from Sacramento, Ca Thank You So Much!!! We escaped the 100 deg. plus heat in Phoenix and spent a very nice cool week in Cambria. The house is very comfortable and the view is the best. The balcony and large picture window of this home has beautiful unobstructed views of the ocean and evening sunsets as it is located on Moonstone Beach Drive. Perfect for 2 couples, but could accommodate more. 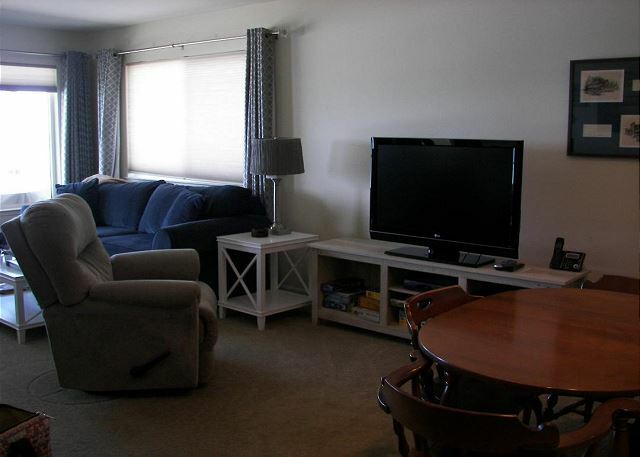 Within walking distance to an excellent seafood restaurant and access to many walking trails. Don't tell anyone so we can keep this beautiful "escape" to ourselves. We have stayed at this property several times and it is always perfect. We would like to see screens on the windows for fresh air and ocean sounds.